Paypal, PSE, Cash, Debit and Credit Card , Bancolombia, Davivienda, Super Giros, Baloto, Éxito, Efecty. 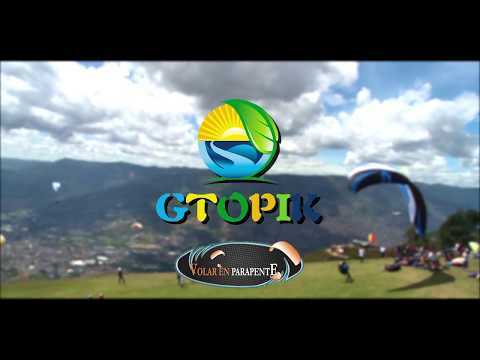 Video Paragliding Tour in Medellin Paragliding in San Felix. Certified pilots, with security and satisfaction guarantee. Buy now! Video Tour Parapente in Medellín. Paragliding in San Felix. Our objective is to provide the best personalized service, flying in teams in excellent conditions with professional and certified pilots. If you want a smooth and calm flight you will have it or, if on the contrary, you prefer a flight that includes adrenaline and acrobatics, you can also do it. In addition, you will have the great opportunity to handle the paraglider for a moment during the flight. You have free Photography and Video service! Inform us and we match it. You can pay in Colombian pesos, dollars or euros. COP $ 130,000 – $ 45 USD. COP $ 170,000 – $ 60 USD. COP $ 155,000 – $ 55 USD. Tourist operator certified in quality. Transportation back to the flight site when landing on alternate tracks. Quality, Safety and satisfaction guaranteed. Private, Truck, Taxi, Bus, Minibus. Logistics, transportation, complete packages and great benefits. The Cross Country be subject to availability and weather conditions . Caribe Metro Station, in the North Terminal company Belmira Expresso Box Office 11, buy ticket to San Felix Bus Cost $ 3,200 COP, Express Cost 4,700COP, and tells the driver that goes to estadero voladero “EL VOLADERO” the second floor, office by paragliding GTOPIK. We’re located there! Second floor! Of the state there an office PARAGLIDING BY GTOPIK says that it has reservation with EDISON VALENCIA. comfortable clothing for cold, jacket, blocker and if you want you can take a pill mareol to avoid dizziness and advised not to eat before flying. You can make the payment: COP, USD, EUR, Cash, Paypal, debit and credit card. Book now with guarantee of Quality, Safety and Satisfaction.